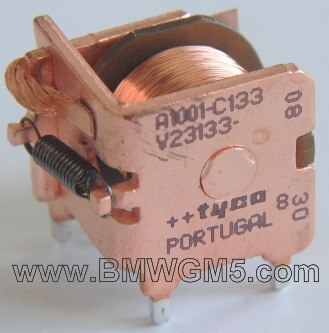 Looking for the Tyco or Siemens V23133-C133-A1001 relay used in the BMW RM or RM1 Module? This relay is used in the RM module uses in the E32 7-series & the E34 5-series and in the RM1 module used in the E31 8-series. This relay is probably used in other modules.